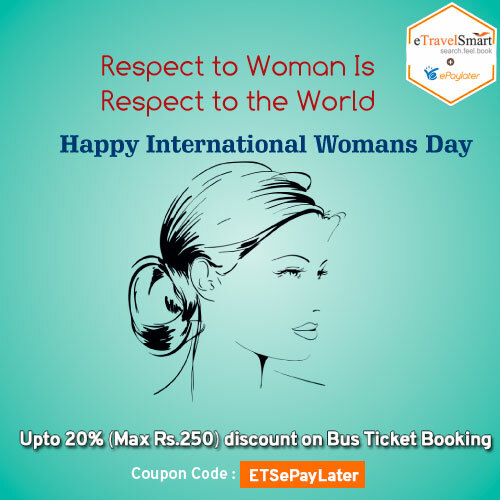 This weekend let’s celebrate it for women’s as on 8th march of year we celebrate as Women’s day and this year it comes on this Thursday which is working day for all the employees, so let’s celebrate at this weekend with travelling for them @eTravelSmart. Many offers, many trips, many travel operators & many more services with eTravelSmart. 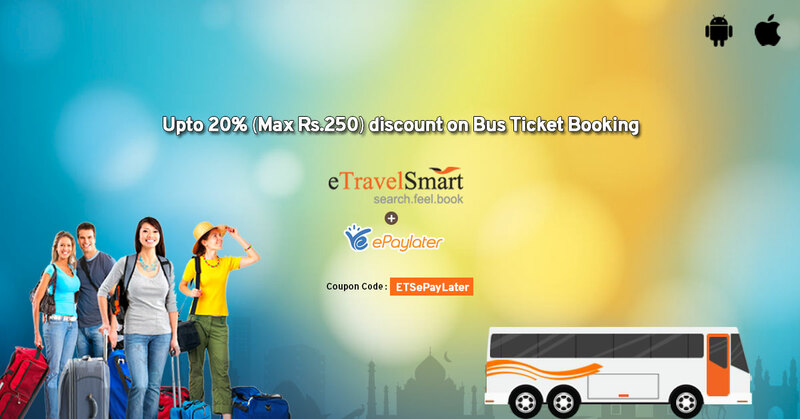 Book online bus ticket booking with eTravelSmart and get discount upto Rs.250. Now search more no of travels & offers, book bus tickets & feel the real happiness of travelling through online ticket booking @eTravelSmart. Get UPTO 20% MAX Rs.250 Discount for First time users. 3.Enter coupon code: ETSePayLater before making payments. 4. Get direct discount amount.